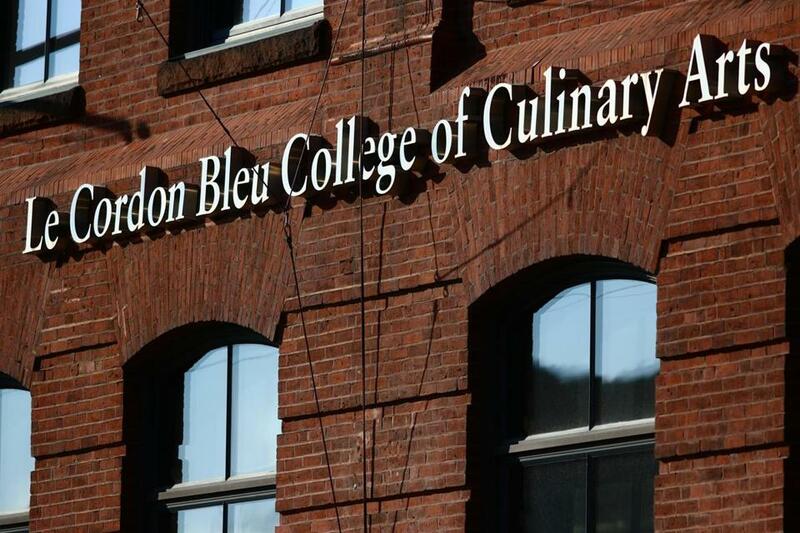 Career Education Corporation, or CEC, the Illinois-based company that owns and runs Le Cordon Bleu’s US locations, announced in December it would close all 16 of the campuses that share a name with the famous Parisian cooking school. The corporation is allowing a gradual “teach-out” of enrolled students; the last cohort began in January, and each campus will cease operations by September 2017. At the end of each block, a few chef-instructors depart. The news came as a blow to the community. “I was shocked,” says Amanda Barresi, who was working as an accountant three years ago when she had an epiphany: “I thought, ‘This is boring. And this is going to be the rest of my life if I don’t find something I’m passionate about.’ ” So she enrolled in a certificate program at Le Cordon Bleu. The classes were “awesome,” and Barresi felt well-prepared for a career in the kitchen when she graduated in 2013. “It’s kind of a bummer that no one else will be able to do it,” she says. The Cambridge school opened in 2008, its outlook rosy. CEC spent millions on a buildout at the prominent Athenaeum Press Building, including top-of-the-line kitchens and a training restaurant, Technique (which had closed by last year). But its fortunes quickly turned. CEC has owned and operated Le Cordon Bleu’s US locations under a licensing agreement since 1999, and the closures will not affect other locations in Europe, the Americas, Asia, and Oceania. These schools are owned and operated by Le Cordon Bleu International, the same company behind the storied flagship location in Paris. Backed by that campus’s haute reputation — and, in some countries, partnerships with nonprofit private universities — the international schools are in better financial shape. In the US, however, the for-profit higher-education industry is struggling after more than a decade of rapid growth. Le Cordon Bleu is not the bubble’s only victim. The owners of Vermont’s New England Culinary Institute have put it up for sale. Corinthian Colleges, which at one point owned more than 100 campuses, declared bankruptcy last year. In 2013, CEC saw enrollment across its dozens of career-focused campuses drop from more than 100,000 in 2010 to fewer than 40,000. It also paid $40 million to settle a class-action lawsuit alleging it misrepresented job prospects and entry-level salaries for graduates, who were unable to pay back the loans they’d taken out to cover tuition. The legal trouble helped to inspire a new set of federal regulations that require for-profits to prove that they prepare students for “gainful employment in a recognized occupation” in order to participate in federal student aid programs. To meet the requirement, the estimated annual loan payment of a typical graduate must be no more than 8 percent of his or her income. Le Cordon Bleu’s 20-month associate’s degree costs $40,000, while according to federal statistics the median annual wage for a line cook is just over $21,000. Chefs and head cooks, who have more experience and responsibility, can expect a median salary of $41,500. 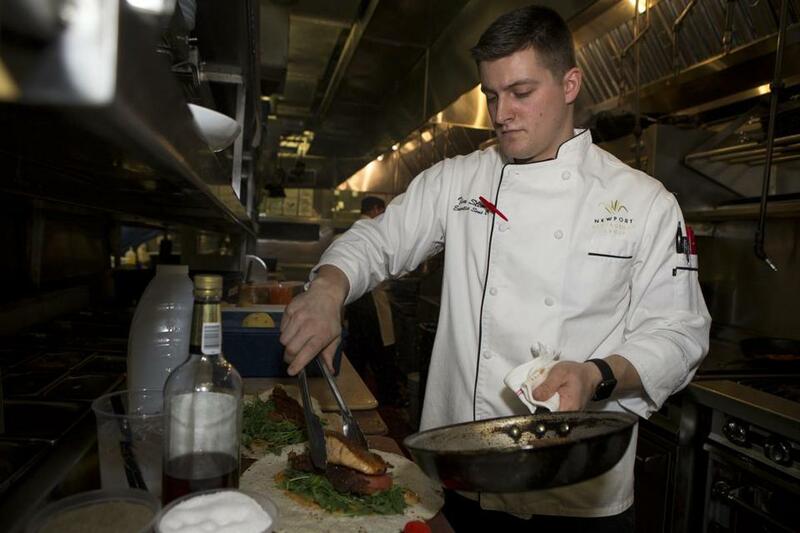 “It’s difficult for culinary graduates who went into debt to take a $10-an-hour job as a cook,” said Evan Campbell, who graduated from Le Cordon Bleu Boston in 2013. He considers himself lucky — after a stint as executive chef at the Trophy Room in the South End, he returned to his native Virginia in February to open a restaurant in Richmond. “But I’m still paying off student loans,” he said. 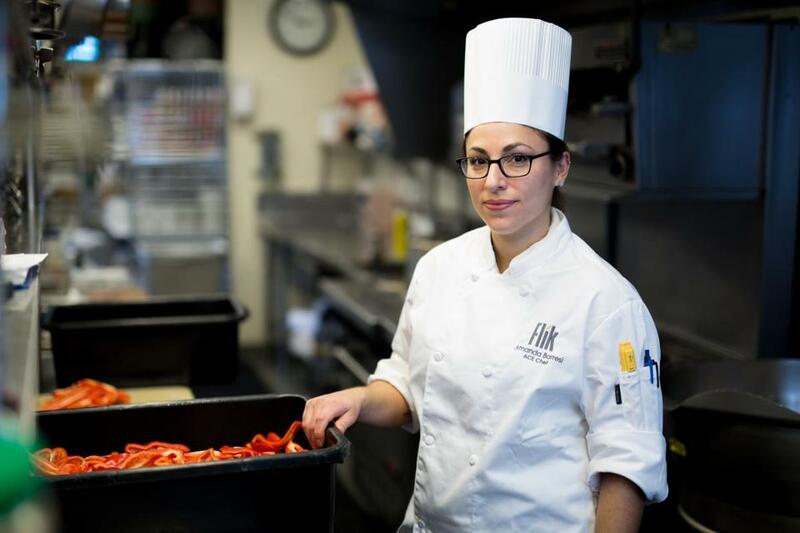 “It’s kind of a bummer that no one else will be able to do it.” says Amanda Barresi, a 2013 graduate of Le Cordon Bleu College of Culinary Arts in Cambridge, on learning that the school is closing. Le Cordon Bleu’s fate may be part of a larger trend in higher education, but the closure feeds into an ongoing debate in the world of food, which boils down to this: Is culinary school worth it? That’s something Barresi can attest to. In 2014, Barresi opened a personal chef business, Sassy Cuisine, and last fall she accepted a full-time position as an executive chef with a subsidiary of Compass Group USA, a contractor that operates institutional cafeterias. It may not be what Food Network fans dream of, but unlike some fine dining restaurants, cafeteria companies often seek out and prefer culinary graduates. For her part, Barresi is thrilled to have found a job with decent pay and good benefits and hours that also allows her to pursue her passion. “It’s not just restaurants — there are a lot of options out there,” Barresi says. Future Chefs, a Boston nonprofit, was founded in 2008 to do just that. It provides urban high school students and recent graduates with culinary training, mentoring, and paid apprenticeships in top Boston restaurants, including Wiechmann’s T.W. Foods and chef Jody Adams’s Trade.